After a week of whitewashes, China’s coronation was completed with another 3-0 victory over Korea in the 2009 Sudirman Cup final in Guangzhou. Host China unleashed a strategic line-up to take on the Koreans, who were vying for its 4th title while the Chinese battled for their 7th. The defending champions swept 3 points from the controversial line-up of mixed doubles, men’s singles and doubles to complete a 21-0 rout. 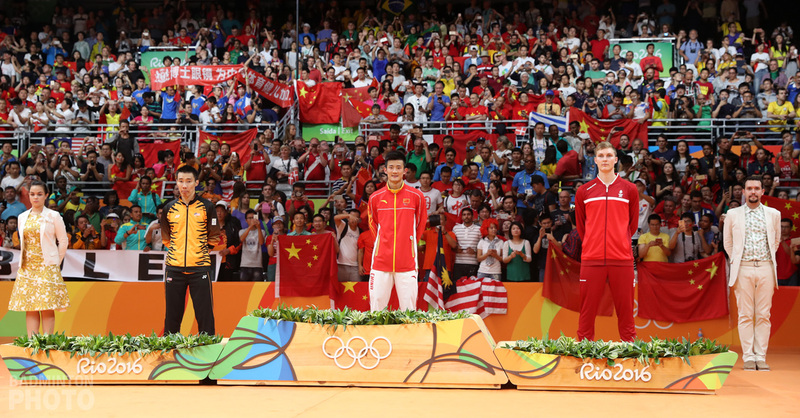 From the start of the 2009 Sudirman Cup, the lingering question was never really whether China would lift the Cup for the 7th time, but rather whether any other team will be able to prevent China from being crowned without dropping a match. The verdict is out tonight after the final tie against Korea, where China not only retained the Cup but indeed din so in frighteningly flawless fashion. The final between the 2 most successful nations in the Sudirman Cup went down to a tactical battle that went in favour of China, as the host nation assembled a surprise mixed doubles combination of Zheng Bo / Yu Yang to dismantle Korea’s 2008 Olympic Games mixed doubles champion pair of Lee Yong Dae / Lee Hyo Jung 18-21, 21-19, 21-16 in a pulsating, mind-blowing, 72-minute epic battle. It has turned out to be a tactical loss for the Koreans this week. Korea had fielded their 20-year-old Lee Yong Dae and 28-year-old Lee Hyo Jung in a total of 6 matches each this week, while China, on the other hand, played the versatile Yu Yang in only 4 matches and Zheng Bo in just 2. By the deciding game tonight, it was apparent that the Chinese duo had the upper hand in terms of both fitness and psyche. “I was very surprised to be paired up with Zheng Bo tonight,” said Yu Yang after the match, “because we’ve hardly trained together as a pair nor have we taken part in any tournaments as a pair.” Y u, who won the 2008 Olympic Games’ mixed doubles bronze with He Hanbin and gold with women’s doubles partner Du Jing, is slated to take over Gao Ling’s baton as the next top female doubles player in China. “Our win serves to prove the good judgment and foresight of our coaching team,” Yu continued. “I guess the coaches felt that Zheng Bo and I are more on par in experience and psyche, which will put us in a favourable position to win the match.” Considered the “soul” of the pair by the coaches, Yu admitted that she was tasked with taking the lead in setting the rhythm of the match and to keep Zheng Bo in check. To have the Olympic champions losing the first and pivotal point was no doubt a huge blow for the Koreans, but a huge boost for the Chinese. 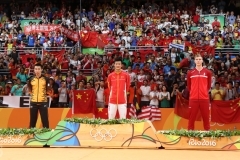 Moreover, China was next represented by their own Olympic champion, Lin Dan. Korea’s men’s single’s representative, Park Sung Hwan (pictured right), has beaten Lin twice and lost 4 times, but Park has only just resumed training recently after his compulsory military stint this year. Park, who clarified that his physical condition is indeed not at its prime, did put up a good fight in the final before going down 14-21, 18-21. He said, “I believe I will recover by the World Championships in August. “Actually, we are quite on par in terms of our techniques, but Lin is a lot physically stronger than I am,” the 24-year-old Korean continued. “I intend to start working on having more strength conditioning in my training regime after this and hopefully, I will be able to perform even better in our next encounter.” Park’s defeat slumped Korea to a 0-2 deficit and by then, it’d take a miracle for Korea to lift the Cup. 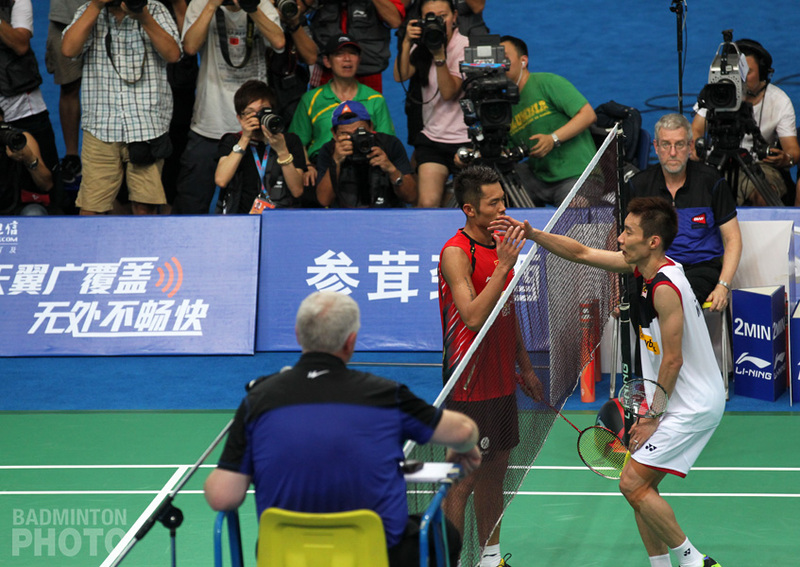 Korea still had a chance to stop China’s whitewash through their men’s doubles pair of Lee Yong Dae / Jung Jae Sung. But Lee had only the men’s singles match to recover from his mixed doubles guerilla warfare, of which the Korean team reportedly had made an appeal against when the final’s order-of-play was decided and released, but Korea’s appeal was rejected and was the only rejection at the Championship. 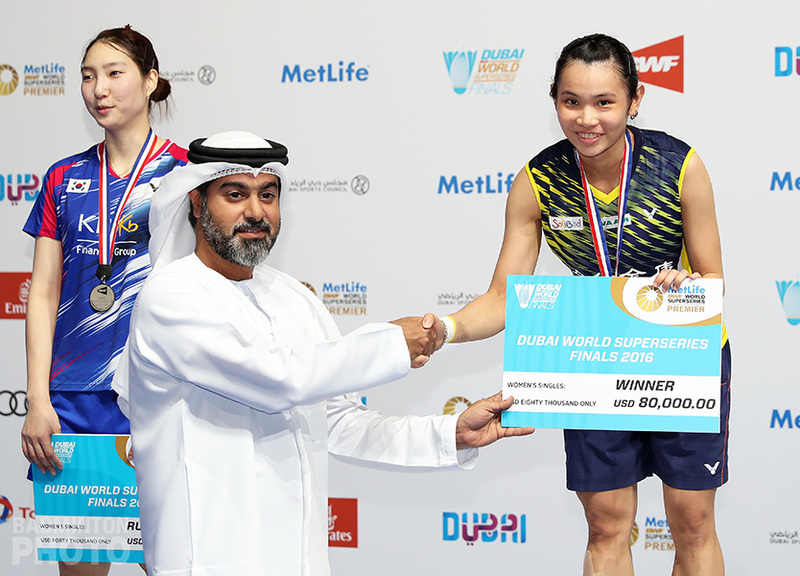 Technically, the order of play at the Championship was MD, WS, MS, WD, XD but in the event where a player had to feature in both the mixed doubles and the doubles events, the mixed doubles will be played first and the men’s doubles would have been played third. However, similar appeals were previously made and were granted to have the women’s singles play third (and men’s doubles play fourth) if the mixed doubles’ male representative is scheduled to play in the men’s doubles, too. 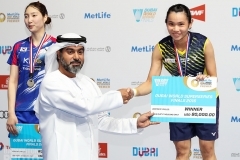 The appeal to have the men’s doubles played fourth after the women’s singles was granted in the Division 2 final’s tie between Russia and Thailand, which eventually went in favour of Thailand, as Thailand’s Sudket Prakapamol had to play in both the mixed doubles and the men’s doubles. Similarly, in the semi-final between Indonesia and Korea, the men’s doubles was played fourth as Lee Yong Dae was playing in the mixed doubles earlier. These decisions were at the referee’s discretion. The final’s order-of-play arrangement was suspected to have to do with commercial spectatorship issue. If the women’s singles was played ahead of the men’s doubles in the final, and should China win the tie 3-0 (with the mixed doubles, men’s singles and women’s singles) then the spectators and TV viewers would have missed the men’s doubles display between Korea’s Lee Yong Dae / Jung Jae Sung and China’s Cai Yun / Fu Haifeng (pictured left), as the men’s doubles match would be voided. 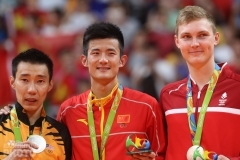 At the 2007 Sudirman Cup, the hotly anticipated men’s singles match between Lin Dan and Taufik Hidayat was voided because it was drawn to be the last match in the indonesia-China final. China then won the final in 3 straight matches much to the disappointment of the sponsors and TV broadcasters. To prevent history from repeating itself, it was ensured that the just as appetizing men’s doubles match would be played when it was kept at third. Cai / Fu then beat Lee / Jung 14-21, 21-17, 19-21 in 61 minutes. On the surface, it would seem like the order-of-play wouldn’t have had made a difference to yesterday’s result because even if Korea’s appeal for the women’s singles match to be played third ahead of the men’s doubles was granted, the women’s singles match would still very likely have gone in favour of the Chinese, as China’s Wang Yihan is evidently a league above Korea’s Hwang Hye Youn.